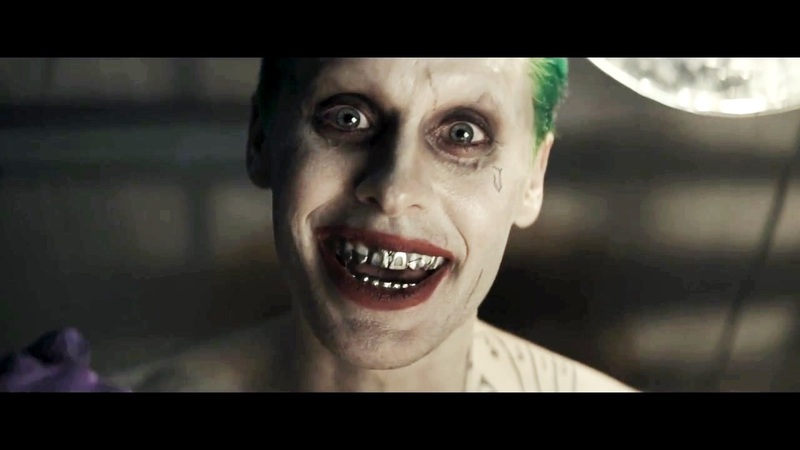 Jared Leto as The Joker in the First Trailer for 'Suicide Squad'. From the first official trailer for the 2016 film 'Suicide Squad'.. HD Wallpaper and background images in the The Joker club tagged: photo the joker jared leto suicide squad trailer first trailer comic con trailer image. This The Joker photo might contain potret, headshot, closeup, and headshot closeup.